The Bavaria Studios are located in the south of Munich, in the district Geiselgasteig. If you are a visitor of Bavaria Filmstadt or part of the audience have a look at Visitors-Hompage for further Information. 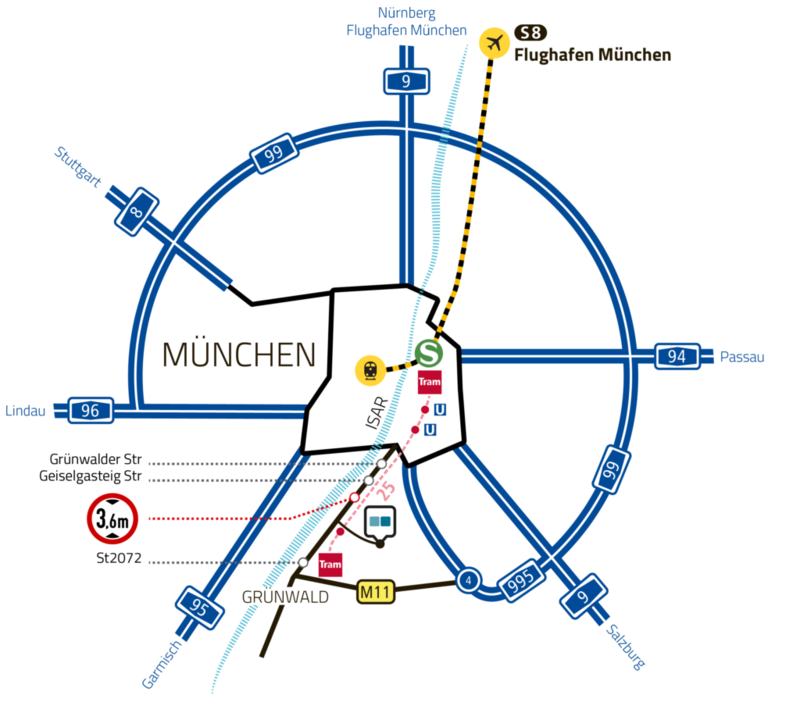 Due to an undergrade crossing, vehicles with an overall height of 3.60 meters cannot approach the Bavaria Studios from the Munich city center. Alternate route: Mittlerer Ring south from München-Giesing on (A995) towards Salzburg, exit Oberhaching, thereafter the highway via Grünwald direction Munich. 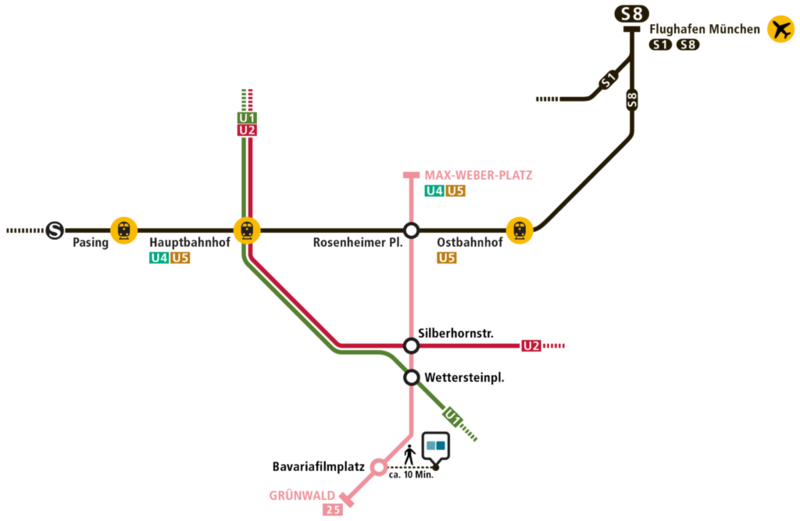 Tram 25 to Grünwald, Stop: BAVARIAFILMPLATZ. We recommend using the MVG app for Android and iOS. You can use it as a journey planner but also for purchasing tickets.